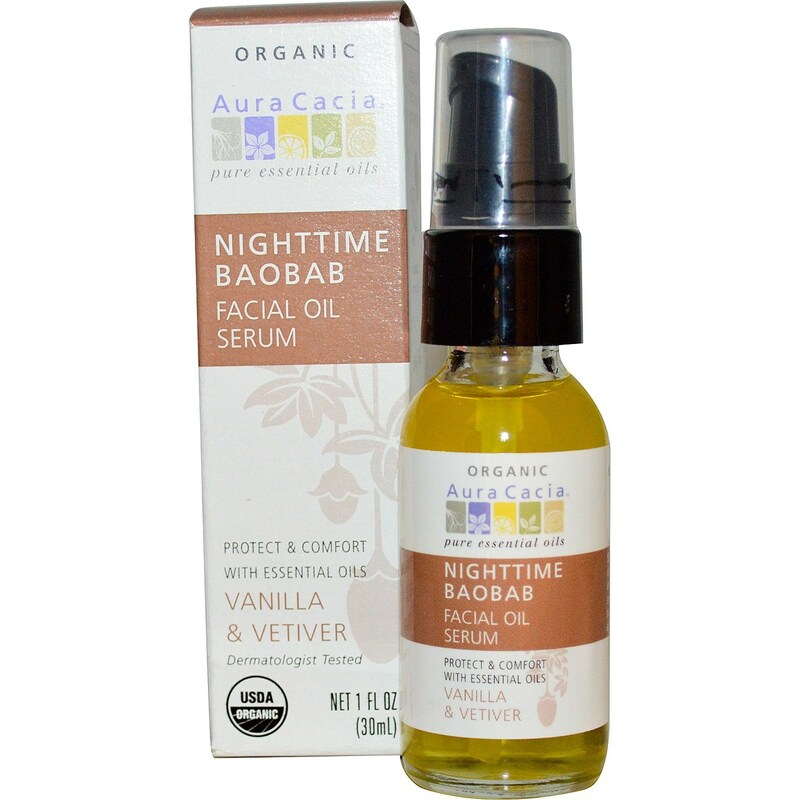 Aura Cacia Nighttime Baobab Facial Oil Serum features a blend of vanilla and vetiver. Warnings: For external use only. Avoid contact with eyes. Test before use. Keep out of reach of children. Notes: Paraben & Petroleum-Free. 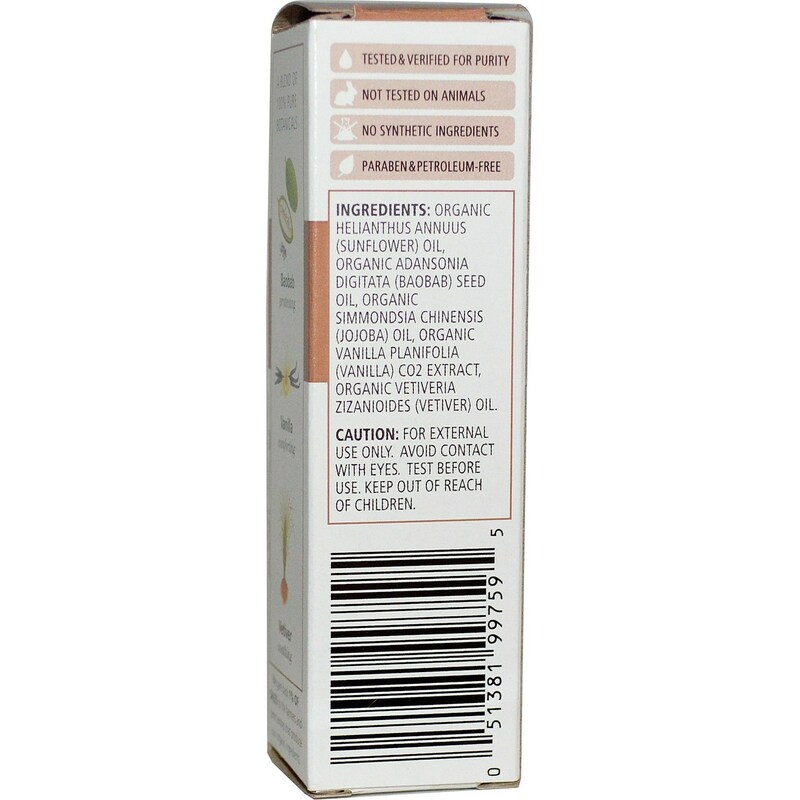 USDA Organic. No Synthetic Ingredients. Not Tested on Animals. Ingredients: Organic helianthus annuus (sunflower) oil, organic adansonia digitata (baobab) seed oil, organic simmondsia chinensis (jojoba) oil, organic vanilla planifolia (vanilla) CO2 extract, organic vetiveria zizanioides (vetiver) oil.